Santa Ana Colors, Madryt, Hiszpania : Rezerwuj teraz! Santa Ana Colors Hostel has 10 rooms, 6 Large rooms (big double rooms) and 3 Medium rooms (small double rooms). 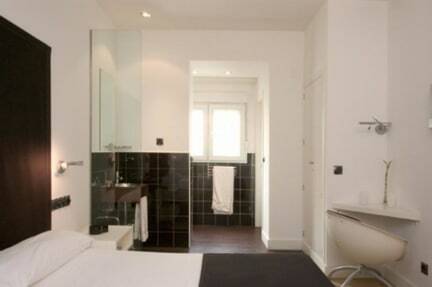 The twin rooms are big double rooms and can be changed into double beds. The double rooms offered are the small double rooms only available with double beds. All are air-conditioned and fitted with TFT television screens, safety deposit box, music and en suite bathrooms. It also has a meeting point where you can have your self-service breakfast and read the daily press. All services are included at no extra charge. 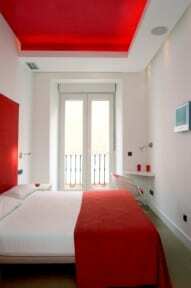 All of our 10 rooms are designed in a different colour. The meeting point is an area where you can meet other guests as well as surf the internet, check your e-mail and relax reading the daily press while drinking some fresh fruit juices, have a cup of tea, coffee or nibble a snack at any time during your stay.